She enjoys caring for young patients and working alongside her parents and dentists Dr Mona Ramzy and Dr Medhat Ramzy as well as her brother and dentist Dr Anthony Ramzy. Gentleness and empathy are hallmarks of Monica’s care. Monica earned a Bachelor of Oral Health at the University of Melbourne. While there she was involved in a variety of research projects. 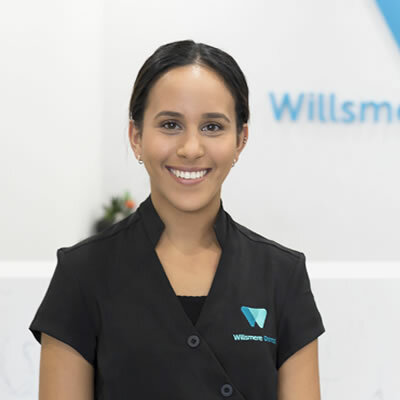 When she’s not at Willsmere Dental, Monica enjoys travelling and getting together with her friends and family. Contact our Kew practice today to schedule an appointment with Monica!